I get a little windy sometimes. Glad you enjoyed it. They were both fun to paint. And I loved deciding how to paint the logo and the rockets. Great fun! Cute little goblins. 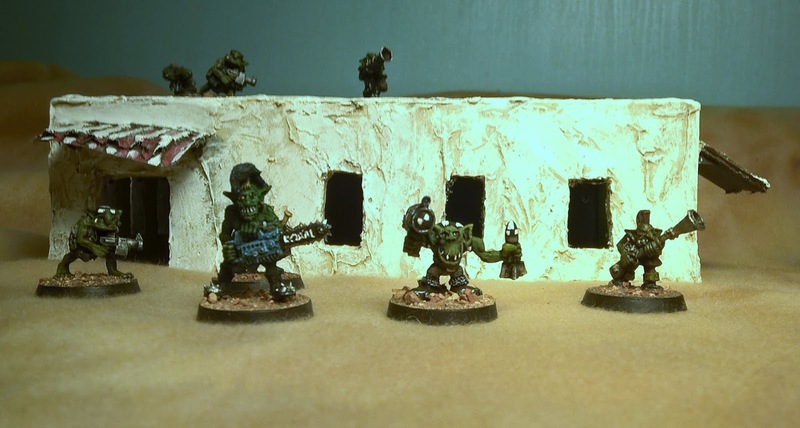 Only thing that orks made wrong is that there always not enough dakka!!! 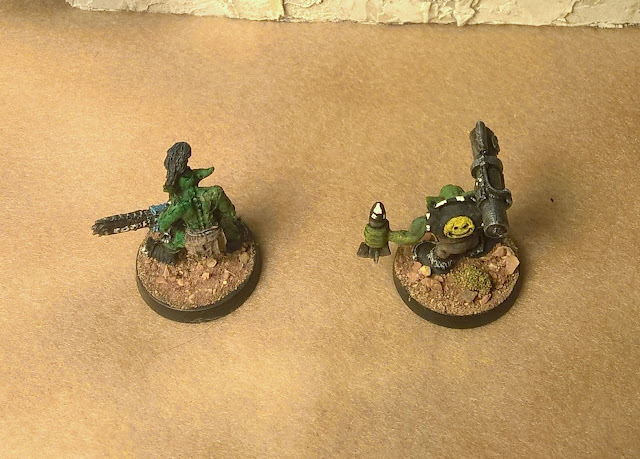 I'm really deeply torn on my orks. I really really enjoy playing them in wargames since I don't much care if I win, I can just charge in and have fun. But in more story oriented games I'd like them to be more subtle. Actually trying to step away from the "more dakka" model, but . . . the siren song of the fun-fire is strong. 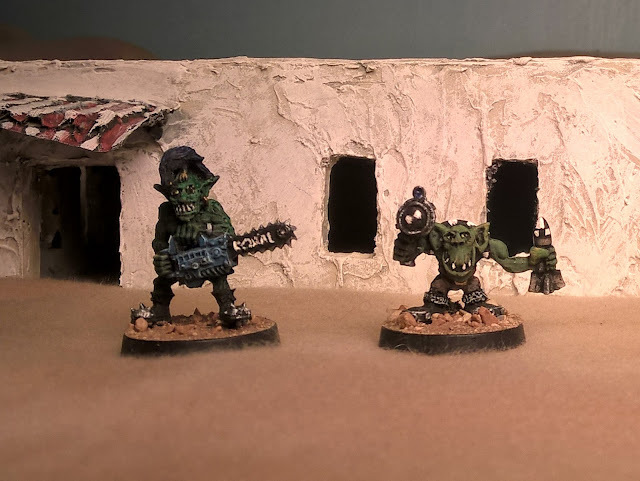 Waagh! Another interesting post, thanks for sharing. Thank you! They're gorgeous little gobbos, really. Lot of fun to paint.